Wello is a Finnish clean energy company providing a wave energy based solution for power generation. With commitment and passion, the company has developed the Wello Penguin into a product that is now ready to be commercialized. 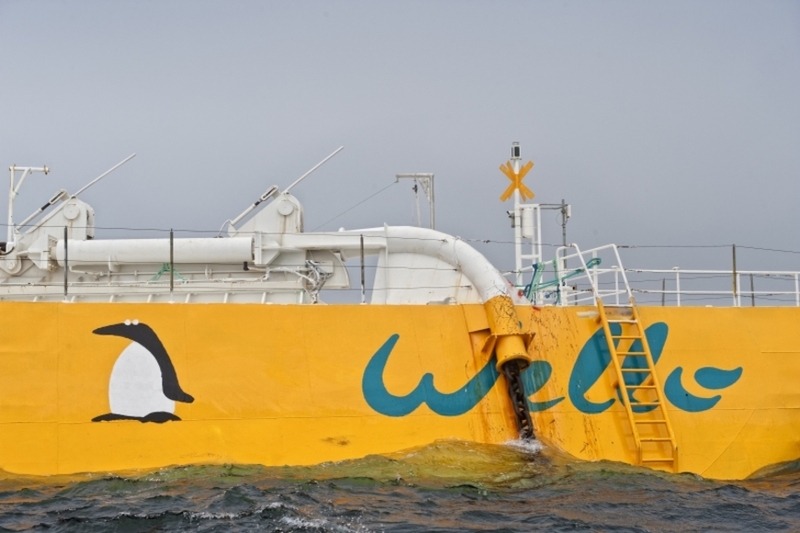 Wello is a Finnish clean energy company providing a wave energy based solution for power generation, the Wello Penguin. With commitment and passion, the company has developed the Wello Penguin into a product that is now ready to be commercialized. The solution is based on a new and unique concept for capturing energy from waves and turning it into renewable electricity. Wello Penguin units can be added up to form a wave energy park and it is a scalable solution that fits many needs. The simplicity of the Wello Penguin is the result of innovative work and practical engineering. Ocean waves provide an endless resource for clean and renewable energy and the market is practically unexplored yet. 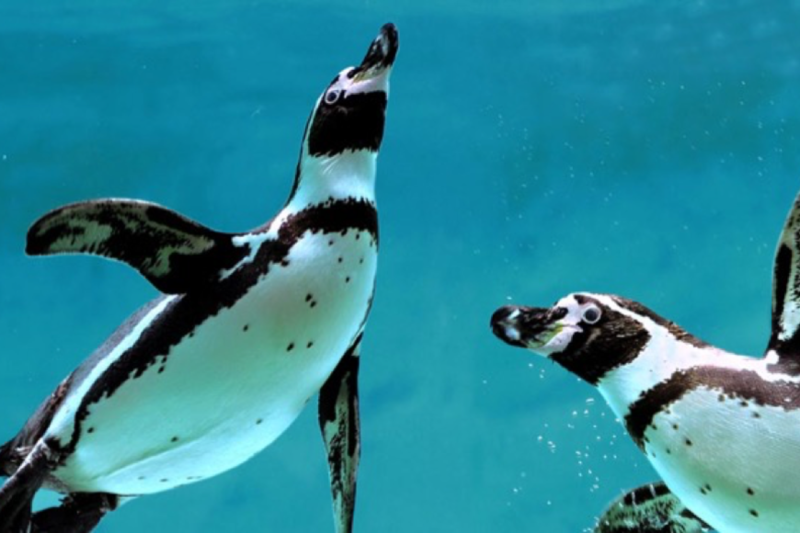 The Wello Penguin’s market potential is global, as the solution is viable on almost any ocean coast. The Wello Penguin has been tested now for almost 10 years in the harshest conditions and it is patented and proven. The world is facing serious challenges in its energy production needs. The rapid growth of the global population and industrial needs among other aspects are contributing to this. In most scenarios it has been estimated that the demand for electricity will increase from 15 500 TWh to 26 000 TWh i.e 1,67 times until 2040 (source). For a reference Finland used electric energy in 2016 85TWh which is 0,5% of the global consumption. Currently more than 60% of the worlds electricity is produced with fossil fuels (source). The majority of all human-produced carbon dioxide emissions is the result of burning fossil fuels. The Paris climate agreement focuses the growing need for renewable energy to decrease carbon dioxide emissions. Wind and solar power are already addressing the problem and investments into renewable energy are growing rapidly globally. However, the wind does not always blow and the sun does not always shine. With 75% of the earth’s surface being covered by water, wave energy holds massive potential. As a constant and stable source, wave energy complements other renewables like wind and solar. Today, the technology to produce wave energy is ready and with serial production the cost of energy produced will decrease to the level of offshore wind and below. The power of wind is stored in waves and converted into energy by the Wello Penguin, a wave energy converter, securing clean and constant energy production. The Wello Penguin is a wave energy converter that works in harmony with the environment. It complements wind and solar energy by being a more stable source of renewable power and it does not produce visual or noise pollution. The benefit of the Wello Penguin is also based on the durable and easy to maintain design. 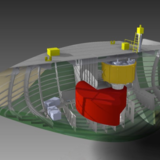 All critical parts are placed inside the hull and they are not in contact with sea water. At the moment an average sized Wello Penguin device of 0,6 MW costs appr. EUR 2,4 millions. The size and the cost of the Wello Penguin depends on the site. With the current pilot project price, the cost of electricity generated is already very competitive with offshore wind and in serial production the company targets a 50% cost reduction. This will reduce the cost of electricity produced, improving the competitiveness of the solution in comparison to other technologies. The Wello Power Module is a sister product to the Wello Penguin utilizing the same working principles for generating power with zero emissions. 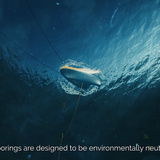 However, due to Wello’s unique technology, there is an additional economic benefit for the ship owner – while installed on a vessel, the Wello Power Module also helps to stabilize the ship, reducing the need for ballast water or other stabilizing systems. The containerized module can be installed directly on a new vessel but also as a retrofit for existing vessels, which increases the market potential for the product considerably. The container is lowered to the deck of a vessel and the Wello Power Module is connected to the electricity system. The Wello Power Module has no contact with water and it does not require any external components. In favourable conditions, each 50 kW Power Module can generate up to 198 MWh per year. The Power Module is still in the development phase and it is expected to be commercialized by 2020. 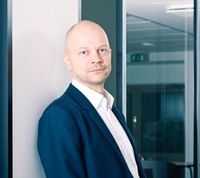 As a young boy, the founder of Wello Oy, Heikki Paakkinen, used to build model boats at his family’s summer cottage in Finland, trying to figure out how they could propel themselves with wave energy. Later on, Heikki’s environmental ideology laid base for his innovative development work: he wanted to develop a device producing clean energy without harming the environment. He began developing and building concepts for wave based energy production that would work in harmony with the ocean. In 2008, Wello Oy was established and the Wello Penguin product development and testing begun. The company expanded slowly with new partners joining and with determination and passion, the device was developed into a strong, patented product. The Wello Penguin has been tested now for almost 10 years by the rugged coast in Scotland and in Finland and it has survived the harshest ocean conditions with waves raising up to 18 meters (source). 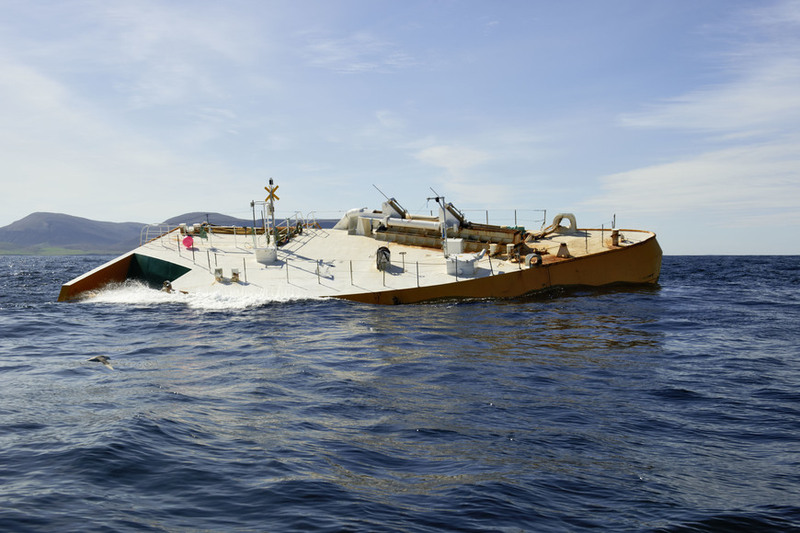 In 2015 the European Commission’s research and innovation program Horizon 2020 granted 17 meur for Clean Energy From Ocean Waves (Cefow) research project, where Wello is one of the participants. Wello’s share of the project is 13 meur, out of which EU funding is 9 meur. 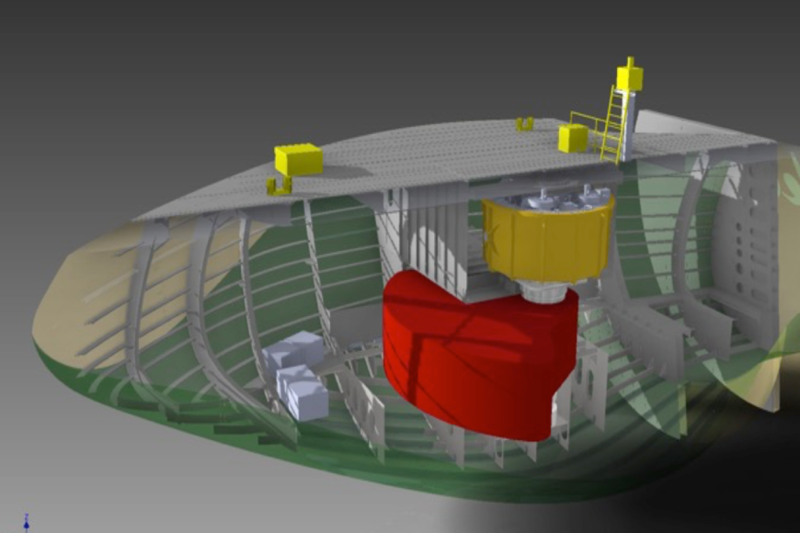 Cefow aims to demonstrate advanced ocean wave energy converter (WEC) technology to increase the speed of wave power development and decrease the levelized cost of ocean energy by 30%. The Cefow consortium spans the full value chain including research organizations, marine service providers and a large multinational utility company. The first of three Penguins was deployed in winter 2017 by the rugged coast in Scotland and it has survived the harshest ocean conditions with waves raising up to 18 meters (source) and is currently producing energy to the grid. An important milestone was achieved in November 2017, when Wello received its’ first order for a commercial wave energy park to be located next to an island in Indonesia. With 10 MW of installed capacity, the project is currently the largest wave energy park planned in the world. This project in Indonesia is just the beginning of the story, as there is global potential for the Wello Penguin wave energy converter. The Wello Penguin converter is a new concept capturing the kinetic energy of the waves and turning it into electrical power. The asymmetrical shape of the Wello Penguin’s hull creates a gyrating motion which makes the rotator inside the hull rotate with each passing wave. The direct power train from wave to electricity means there is no loss of efficiency in the system. 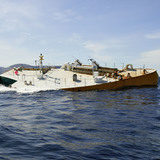 The Wello Penguin vessel floats on water and the vessel is positioned away from the wave breaking zone. The Wello Penguin fleet can consist of anything from one unit upwards, being scalable to meet the energy production capacity required. 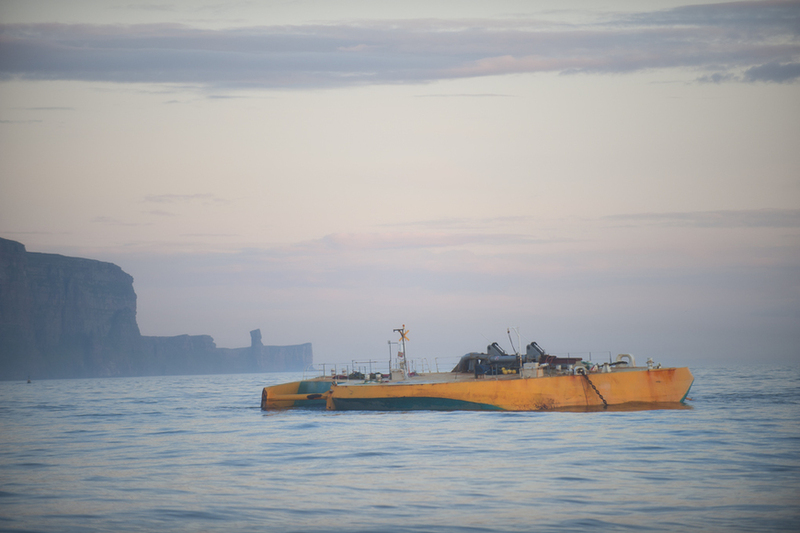 The vessel is fixed securely to the sea bed with a simple mooring system that can be installed utilizing average sized work boats. Only 2 meters of each unit is visible above the surface and the Wello Penguins do not produce any audible or visible disturbance to the nearest shore. 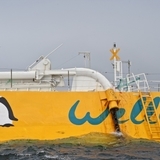 The energy generated by the Wello Penguin is transferred onshore by a sub-sea cable with a connection to the grid. Competing wave energy technologies, such as Eco Wave, AW-Energy, Seabased and Carnegie are based on a back and forth movement. The Wello Penguin, however, is based on continuous rotational movement, which is a more durable and efficient solution. 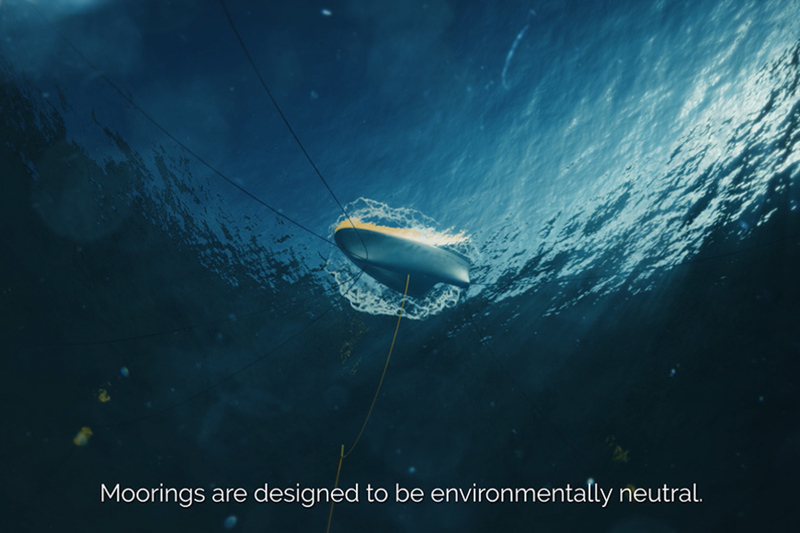 Except for Eco Wave, the competing technologies are fully submerged in the sea while the Wello Penguin’s floating concept ensures easy and cost-efficient installation and low maintenance costs. In addition to the wave energy parks, the Wello Penguin converter can also be applied for power generation on board of ships. The solution reduces the fuel consumption and emissions while also stabilizing the ship. Wello’s sales strategy is two-fold. In the first stage, it aims to identify markets, where the Wello Penguin solution is a good fit already today. Favorable market conditions may consist of a good wave climate and relatively high cost of energy. Renewable energy policies and feed-in tariffs for renewables also support the demand for Wello’s solution, especially if there are limitations for installing other forms of renewable energy in the market. In certain markets, wave energy is already competitive or less expensive than other sources of energy. Penida Island in Indonesia and Easter Islands are good examples of places where it has been decided that for scenic reasons solar or wind energy is not desirable. One of the only few renewable energy sources left to use is wave energy, which is less expensive than energy generated by diesel fuel. Another example of a market, where wave energy is already less expensive than other forms of energy is Falkland Islands. This is the result of an excellent wave climate. In Greenland, solar energy is not economical and windmills cannot be built as there are no roads to take the cranes to the site. 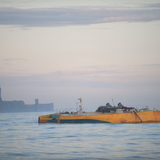 This leaves wave energy as one of the only source of renewable energy in Greenland. There are large mega cities on the coastline of oceans. Often their electricity is transmitted from remote locations with expensive high voltage lines. In case of extra capacity needs Wello offers a solution where energy is supplied close to the cities. In the second stage, the increased competitiveness of the solution is expected to open up new markets. With the development of sourcing and improved production, the cost of the Wello Penguin is expected to reduce 50% by 2019. 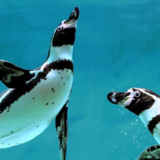 The global wave energy market potential is estimated to be 3,36 TW, which equals to EUR 74 billion with a price of EUR 1,2 million/MW (source, price of the energy calculated using Penguins). By 2050, 100GW of ocean energy can be installed in Europe, meeting 10% of European electricity demand, and becoming a mainstream energy source (source). 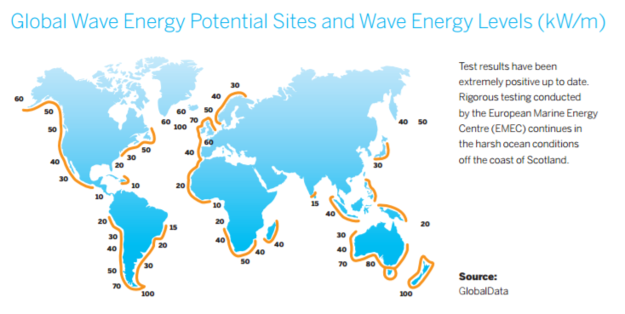 Other markets with roadmaps and targets for wave energy include North America, China, Japan and Australia. The company has just received its’ first commercial order for a 10 MW Wello Penguin wave energy park to be located in the Indonesian waters. The role of Wello is to act as the technology and equipment provider. With over 17 000 islands and 234 million people, the Indonesian wave energy potential is estimated to be worth of over billion euros (source). Wello has a globally spread pipeline of projects that are under negotiations currently. Wello has received funds for the product development from current investors, Finnvera, Tekes and EU grants. 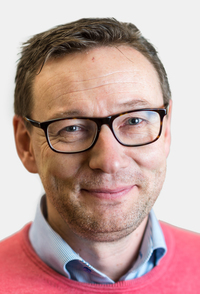 To support the growth strategy and to bridge the funding needs until the next planned major funding round, the company is now offering equity through Invesdor crowdfunding. Based on the current project pipeline, the company estimates that it will be cash flow positive in 3 years. 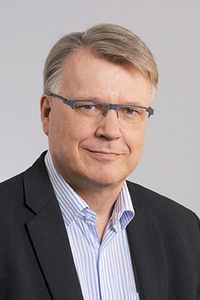 Wello’s board of directors consists of representatives for the main investors VNT Management, Fortum, Innovestor and the founder, Heikki Paakkinen. The board holds a broad experience in developing and commercializing clean energy technologies as well as growing scalable businesses internationally. Wello’s innovative and hardworking management team includes international professionals from all the key areas needed to take the company to the next level. Currently, there are 15 people with extensive experience in mechanical, marine and control engineering as well as sustainable energy technology working for Wello. Estlander Holding Oy is a private investment group based in Finland. 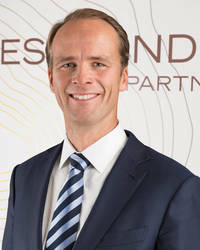 Martin Estlander is the founder and the Chairman of Estlander Capital and he has over 25 years of experience in investment management. He is also the initial developer of Estlander Capital trend following programs. 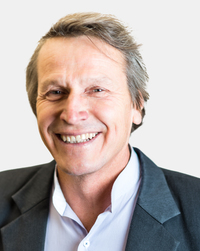 Martin has an active role in Estlander Capital’s research and product development. 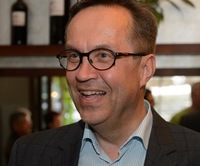 Martin acts as a board member of certain selected companies, such as Wello Oy and the Finnish National Gallery. He holds an M.Sc. 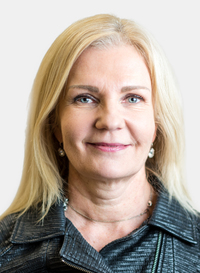 in Industrial Management and Computer Sciences from the Helsinki University of Technology. 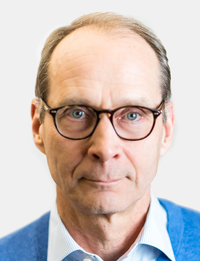 Harri Ollila is a Partner at VNT Management and he has over 22 years of experience in electrical engineering industry and 5 years of experience in communication technology. He has held the positions of SVP, European Operations and SVP, Corporate Relations at Elcoteq. At ABB, he held sales and general management positions and he has been an energy consultant at Ekono. Harri holds M.Sc. (El.Eng) and MBA degrees from the Helsinki University of Technology. 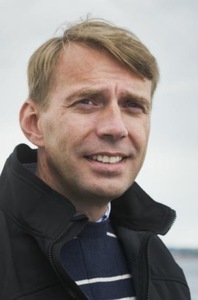 Sebastian Johansen is a Senior Technology Expert at Fortum. He has comprehensive knowledge and experience from the renewable energy sector and start-up companies focusing especially wave, wind, solar, hydrogen and energy storage technologies. He has a strong technical and international background working with multiple on- and offshore projects covering e.g. site development, financing, strategy, planning, purchasing, sales, managing, manufacturing, constructing, operation and maintenance. Sebastian has a deep understanding of issues impacting the investments and company strategy for small, medium and large enterprises. He also brings his vast international experience and contact network to the Wello board. He holds a B.Sc. in Electrical Engineering from the Swedish Institute of Technology. Pia Ali-Tolppa holds an M.Sc. in Business and she has graduated from the Helsinki School of Business. She has a long work experience in different roles from the financing sector and she has worked both for the private and the public sector. She has over 15 years of experience in being an executive manager. At Wello, she is in charge of Finance, Human Resources and IT management.